Sam and Diane, the two new part-time arrangers at the Ascot branch of Lodge Brothers had a great idea. They decided to hold a colouring competition for Easter with the local Ascot Heath Primary School, and ended up getting nearly 50 entries!! 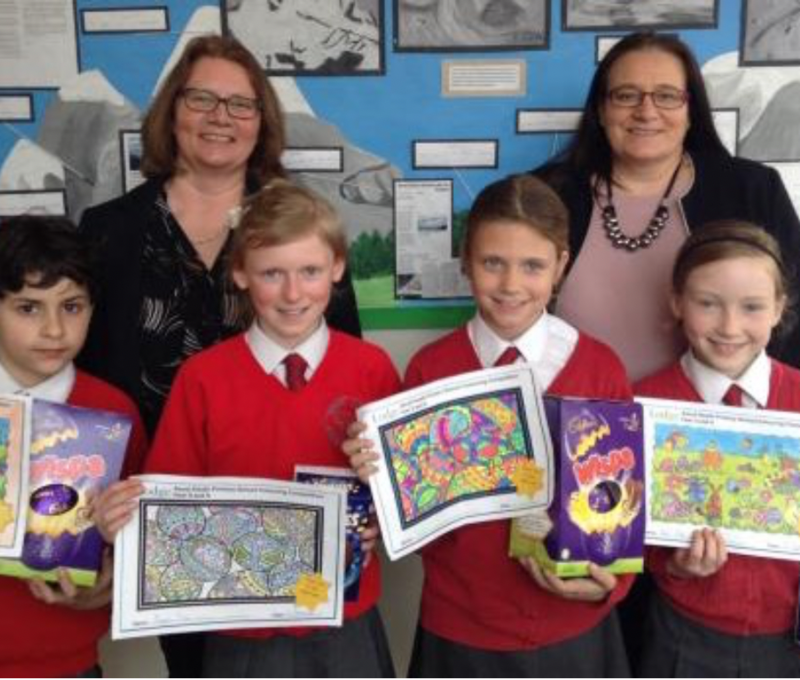 The ‘School Council’ picked the best and the four winners were chosen from the shortlist, with all designs now up in the branch for the foreseeable future, brightening the Easter window in the High Street. The winning entries are to be turned into jigsaw puzzles and given to the local school and a couple of local nursing homes. 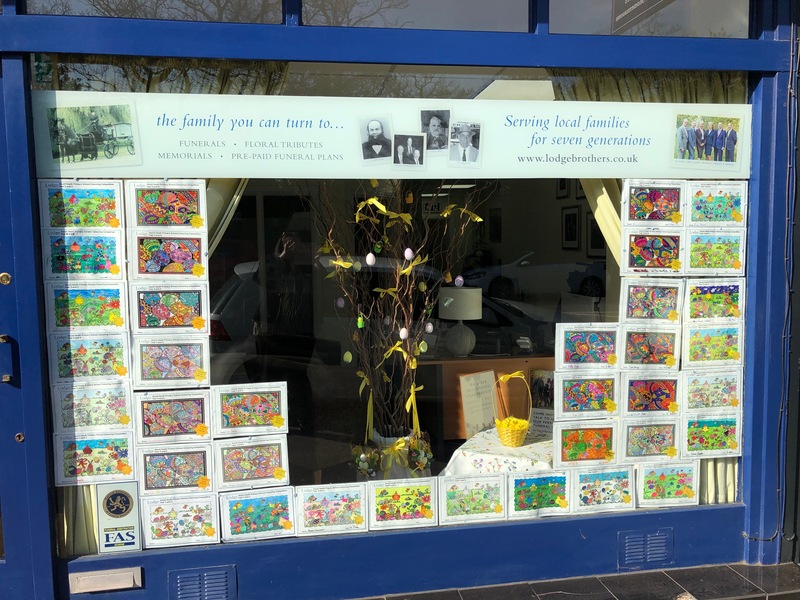 District manager Richard Leachman said: “The ladies at the branch turned a very simple idea into something very special for the school community in Ascot Heath, and people stop to look at the designs in our window every day. It will be a shame when we have to take them down! But to have the winning designs turned into jigsaws will bring fun for many for months and years to come”. Congratulations to the winners Kevin and Amber, and the runners up, Neve and Abigail.